Twenty-five years after the US invasion, on October 25, 2013, this small headstone was unveiled. 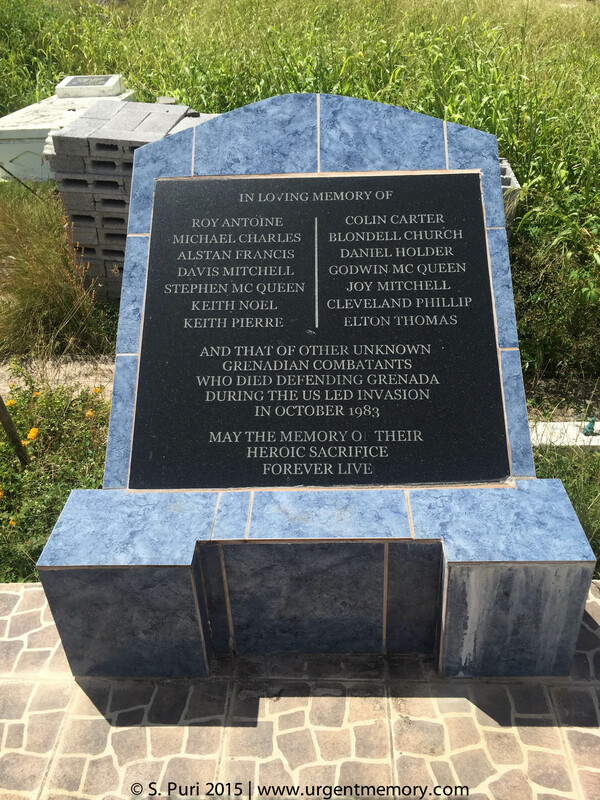 It is the first memorial in Grenada to Grenadians killed in the US invasion. In 1983, the US Military had mistaken the bodies of the 14 soldiers named on the headstone for Cubans and shipped them to Cuba. The Cubans had returned the bodies to Grenada, where they were buried in an unmarked grave. The headstone honors them by name and alludes to unknown others who died during the invasion.